When pro-life Gov. 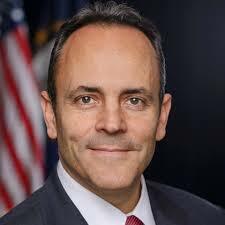 Matt Bevin signed House Bill 454, Kentucky became the latest state to ban the vicious and gruesome practice of dismemberment abortions. Eight states had already passed bans on dismemberment abortions: Kansas (2015); Oklahoma (2015); West Virginia (2016); Mississippi (2016); Alabama (2016); Louisiana (2016); Arkansas (2017); and Texas (2017). Predictably, no sooner had Gov. Bevin signed the law on Tuesday –and the law went into immediate effect–than the ACLU filed a federal lawsuit challenged the law. “This law disregards a woman’s health and decisions in favor of a narrow ideological agenda,” said Talcott Camp, deputy director with the ACLU Reproductive Freedom Project, in a news release. The ACLU is seeking to stop its enforcement while the case proceeds, according to Darcy Costello of the rabidly pro-abortion Louisville Courier Journal. said in an emailed statement Wednesday that the lawsuit, while not surprising, is disturbing. Pro-abortion Kentucky Democrats cited costs in defending the law which they insisted was unconstitutional. When the bill was debated in the Senate Judiciary Committee, Morgan Watkins of the Louisville Courier Journal posted a story that did not even make a pretense at balance.